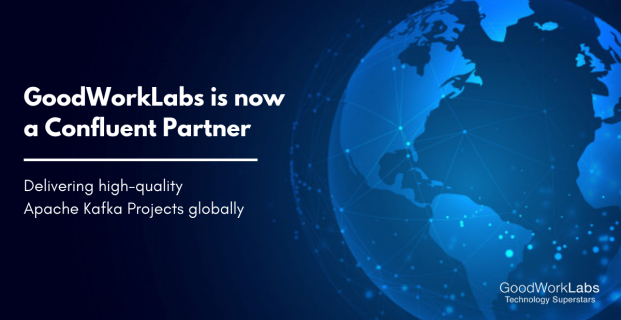 We are super happy to announce that GoodWorkLabs is now a registered Confluent Partner. This partnership with Confluent will enable us to deliver high-quality Apache Kafka and other Confluent Platform projects to our Fortune 500, SME and startup customers across the globe. We have already proved our mettle in Big Data, Artificial Intelligence, and Machine Learning technologies by working with some of the biggest global brands. 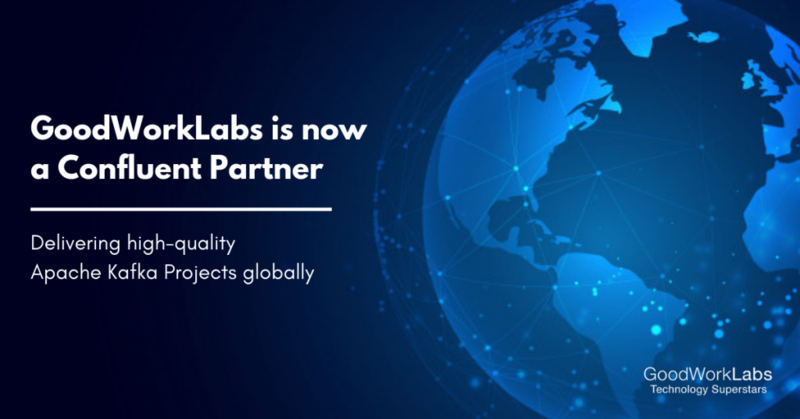 This partnership will further strengthen our expertise in delivering Apache Kafka related technology solutions by working hand-in-hand with Confluent! With the confluent platform, we can help businesses harness the power of rapidly changing data and build a new-generation technology architecture based on Apache Kafka, the only event streaming platform that enables enterprises to extract the maximum value of data. In this digital age of events, it is important that your data systems communicate with each other in the right way! With an event streaming platform such as Apache Kafka, any organization can capture data into streams of real-time events. Businesses across various industries such as retail, logistics, manufacturing, financial services, technology, and media will be able to respond in real-time to every customer event, transaction, user experience, and market movement whether on-premises or in the cloud. GoodWorkLabs brings to you its expertise in Apache Kafka through the confluent platform to ensure your data systems and infrastructure communicate the right way! Reach out to us for Apache Kafka requirements.